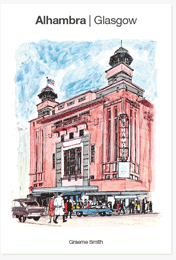 Now for the first time, the compelling story, fully illustrated, of the famous Alhambra Theatre, which started with the trans-Atlantic expansion of entertainment linking London, Glasgow, Paris, Berlin, San Francisco and New York. 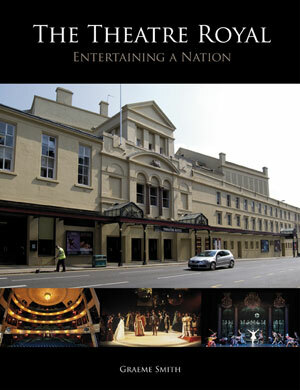 Told by Graeme Smith, author of The Theatre Royal - Entertaining a Nation. · Explains how to get started in writing and designing an original pantomime. · Uses major professional productions to illustrate established techniques and new innovations. · Examines pantomime traditions and scene structure and how these can be utilized in productions today. · Describes how staging design can influence the narrative. · Looks at how pantomime characters develop through their costume. · Explores the tricks and magic essential for pantomime. · Shows visuals from a range of productions from small regional through to large commercial pantomimes. Who was Dan Leno? In 1901 everyone in Britain knew who he was. They had seen him live on the music hall stage, listened to his jokes on the new gramophone and watched his funny antics in some of the earliest moving pictures. 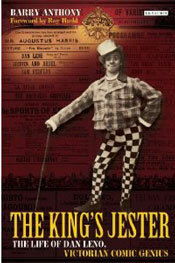 Even King Edward VII was a fan and the popular press dubbed Dan Leno 'The King's Jester'. But his path to fame was a hard one: he journeyed from being a child performer in the London and Liverpool slums to a chaotic career in hard-bitten northern variety theatres. Dan became the nation's favourite comedian, but as one of the first mass media stars he suffered from this continual exposure and died at the early age of forty three. Drawing on many previously unused sources, this is first, authoritative, biography of Dan Leno. Only Charlie Chaplin, often compared to Dan in style and appearance, was to occupy a similar position in the hearts of the British public. In telling the full story of Dan's life and career on the stage and screen, Barry Anthony brings to life the everyday life of Victorian Britain, as well as Dan's unique brand of humour and its resonance with later comedians such as Spike Milligan and the Monty Python team. A British Comedy Award for Lifetime Achievement, A 'South Bank Show' retrospective, a C.B.E. 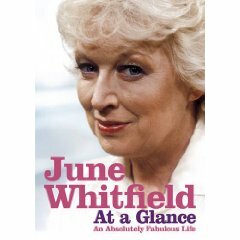 (she insists it means 'Caught Before Expiry'), twice the recipient of a red book on 'This Is Your Life' and with every major comedy star of the last half-century amongst her most ardent admirers, June Whitfield is a legend, a legend who in her 80's still gets up at dawn to prepare for yet another day in front of the cameras. In her long and rich career she has kept meticulous scrapbooks and these form the backbone to this highly illustrated account of her life and times. It is peppered with hilarious anecdotes and sage reflections on the cast of stars she has worked with as well as recounting some of the most iconic moments in comedy history. To no one else has the description 'National Treasure' been more appropriate. From Cowcaddens to the Colosseum, from Hope Street to Hollywood ………for entertainment, drama, pantomime, music and song this is the fascinating story told for the first time of the Theatre Royal ………. in full colour, with 312 pages and over 400 illustrations of the people, performances and city it grew up with. Emerging from Music Halls to an Opera House and the national home of Scottish Opera and The Scottish Ballet the Theatre Royal is the oldest theatre in Glasgow, opening in 1867, and the longest running theatre in Scotland. It is also the largest example in Britain of the theatre designs of Charles Phipps. Pantomime, plays, spectaculars, silent films, circuses, ballet, opera and television grew up with the Royal. Original documents trace its life and personalities, from its parentage in the 18th century, the influence of the Glover family here and overseas, its links with fine arts and the International Exhibitions, all expressing the confidence of Glasgow and the context of its times. It is also the birthplace of Howard & Wyndham Ltd, one of Britain's major theatre companies, thanks to the Simons fruit businesses in Candleriggs; and the birthplace of STV commercial television in Scotland, thanks to Canadian Roy Thomson. For an encore there is a history of the previous Theatre Royal in Dunlop Street. Let the curtain rise! The glamour, the excitement, the riotous laughter, the beauty and the memories; Chris Woodward succeeds in capturing them all in his chronicle of the London Palladium over the century of its existence. He draws on the experiences and memories of the countless individuals who have played a part in its journey through the years, from those who experienced its heyday as the flagship theatre for Variety, when it played host to all the stars of the day, to the present time where it has evolved into a venue for hit musicals and popular television programmes. The author’s own vast collection of Palladium programmes and memorabilia helps to bring his account to life with stunning images. For more information, read the attached information from the publisher. Also details of how to order direct from the publisher. British pantomime draws audiences into the story, an engagement with the hero, and an empathetic attachment to the success of the quest. Attention is held by the familiarity of the event, and the comedians draw the audience into a relationship of complicity as they unite to create the unique experience of the live interactive performance. The trick of pantomime is to maintain an effective balance between the intellectual appreciation of artifice, the chaotic complicity of interactivity, and the emotional engagement of story-telling. 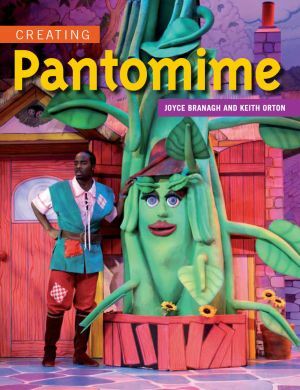 This is an accessible and valuable text that encourages readers to review their assumptions about pantomime and reconsider its importance as a popular theatre form. To pre-order, complete the attached form and send to the address on the form. 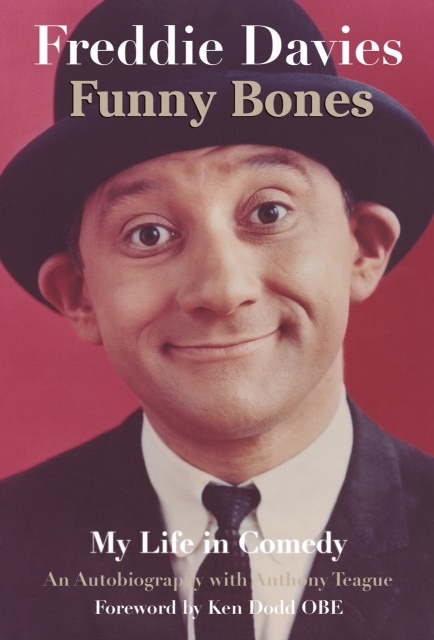 An exercise in nostalgia, with its perceptive and amusing profiles of scores of well-loved and well-remembered comics, from George Robey and Will Hay, via Max Miller and Tommy Handley, to Tony Hancock and Morecambe and Wise. It is also an analysis of how comedians worked. It contains photographs and playbills from the Patrick Newley collection. 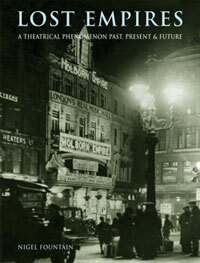 An illustrated book covering theatres both in the UK, America - in particular New York and others. It covers Burlesque, Vaudeville and British Music Hall with some interesting pantomime elements. The Music Hall and pantomime elements are good, and the illustrations excellent. 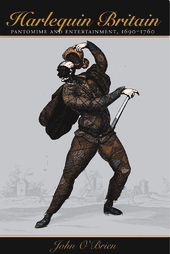 Dating back to the middle ages, British pantomime has absorbed the traditions of Commedia dell'Arte, Harlequinades, Music Hall and slapstick to produce a unique theatrical tradition. Supported by Iavish archive and contemporary photographs, writer Peter Lathan explores the history and development of panto, discovering where panto gags come from, who is considered to be the greatest Dame of all time and why is it that a girl always plays a boy falling in love with a girl whose mother is a man! All our favourite stories are included - from Cinderella and Aladdin to Jack and Beanstalk and Sleeping Beauty - in this ultimate celebration of Britain's unique love affair with panto. Foreword by John Inman. Tina Bicat assisted by Ruth Staines and Colin Winslow have created a compact “Hands-on” guide to creating a pantomime from the initial planning stages to the first performance. Aimed at the small scale professional production and large scale amateur pantomime this book guides the reader from the selection of a suitable script, through the rehearsal process, selecting music , creating the scenery and costumes and practical advice on selling the production even down to the advice on the profitability of “off Sales”! From a personal point of view I would have liked to have read a much larger section on costumes, but obviously in a book that covers all the aspects of a production, even down to some very useful advice on licensing juveniles and the PCR requirements of licensing music, it would not be possible to extend every chapter. It’s an excellent book and an extremely useful one for a society or indeed small scale theatre embarking on their first pantomime, and a very useful reference for companies wishing to extend their boundaries. Useful information like a recipe for making “Slosh” (The Custard Pie routine) and ideas for chaperones to amuse over excited or over tired juveniles between elf entrances are not to be found in other panto books! It is definitely a very practical guide to a subject obviously dear to Tina Bicat’s heart. My personal preference would be for a section of colour photographs scattered within the pages. There are a great many black and white photos which give the subjects a slightly dated feel to them, and a colourful subject like scenery and costume deserves the addition of some colourful photographs to accompany the text. Treasurers of amateur companies and directors of small theatres would be well advised to buy a copy of this book to put under the Christmas Tree! Writer & Performer Norman Robbins has written a book he describes as "not a history, just a broad outline of how British Pantomime evolved - with glimpses of the period, people and events that shaped it, and gives the origins of many "traditional" gags and who devised them. Burgeoning Victorian leisure time created demand for a rich diversity of public entertainment, from Punch and Judy shows to lavish spectaculars in London theatres. This collection of posters from the Public Record Office archives reflects this diversity in style and content. Early, fussy designs groaning with text and ornament changed with French influence, creating a bold new art form combining fine art and popular culture. "The Only known collection of pantomime jokes and sketches in captivity"
A paperback book which gives scripted routines from Pantomime sketches/frontcloth gags. Introduction by Roy Hudd. Gale Research International Ltd. ISBN 1873477457 - Edited by David Pickering & Advisor John Morley. This reference contains 650 A-Z entries on pantomime, including: characters; works, productions and plots; venues; writers, actors and theatre managers; catch-phrases and technical terms; stage tricks, conventions and themes; and origins and folklore. Additional to the core entries, this book provides information and insights from those in the business. A chronology surveys the evolution of pantomime, from the roots in the Greek theatre, through the Commedia dell'Arte tradition, to the present, complex form of theatre full of topical allusion and satire. The book also looks at pantomime today, evaluating pantomime since World War II by John Morley, who also writes a practical guide, "How to write a pantomime" - all the ingredients for a production are detailed, arming those who wish to stage their own pantomime with all the tips they need. There are interviews with actors Jack Tripp and Roy Hudd, and finally, quotations are included about pantomime from journalists, players, authors and critics throughout the years. An appendix explains how many popular stories have been adapted for the pantomime stage. Published by Bradford Libraries & Information services, 1989. Published by the BBC/Crown Publications. ISBN 0 563 20366 8. 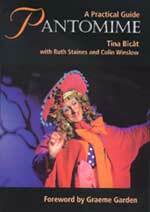 A very detailed and useful book about Pantomime, with pictures up to the mid 1980's. The History of Pantomime, featuring productions by Derek Salberg at the Alexandra Theatre, Birmingham. A history and recollections of theatrical life during the period 1850's-1930's, especially Music Hall with much cross referencing to pantomime. An interesting look at Pantomime through the ages. It also includes excerpts of Pantomime routines and sketches. Detailed History of Pantomime with many pictures from the Mander & Mitchenson collection - You will not find these pictures anywhere on the Internet as they are heavily copyrighted. With A Twinkle In My Eye (1951) by Clarkson Rose. The Veteran Dame and Summer Show producer of the “Twinkle” revues. Published by Home and Van Thal - London - pre ISBN. An excellent book on pantomimes. Published in 1946 - pre ISBN. A very good historic look at pantomimes - including those at the Theatre Royal Drury Lane. (Also: Penny Plain Twopence Coloured, by the same author). Randall (1860-1932) became a star of Music Hall in the 1880’s, making his first panto appearance as Will Atkins in “Robinson Crusoe”, Theatre Royal Birmingham 1885. He took over from Dan Leno at Drury Lane in 1905, and made several pantomime appearances at the Grand Theatre, Islington in the 1890’s. Fifty Years of Spoof (1927) by Arthur Roberts. Roberts was a pantomime star at Drury Lane, and formed a double act with James Fawn (famous for singing “If you want to know the time, ask a policeman” in 1880-81. Roberts also wrote “The Adventures of Arthur Roberts by rail, road and river” in 1895. G.H.Chirgwin - Popular in Music Hall and Pantomime in the 1880’s “The White Eyed Musical Kaffir”. Many of his performances were at the Britannia, Hoxton in London. J.Hickory Wood was the friend and Pantomime writer to Dan Leno. His pantomimes were produced at Drury Lane during the Leno years. A History Of Pantomime (1901) by R.J.Broadbent. Comical Fellows: or The History and Mystery of The Pantomime (1863) by Andrew Halliday. These were published in two volumes in 1838 with ten illustrations by George Cruickshank. The memoirs were inaccurate, and were later amended by Charles Whitehead. In 1968 MacGibbon and Kee Published the memoirs with notes and appendices by Michael Findlater. 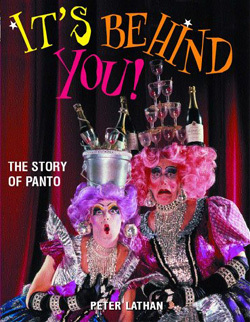 This is a book for everyone involved in staging a pantomime: students, teachers, schools, colleges and amateur groups. The author covers all the information needed for the production, from finding or writing a script to the last night of the show. The practical aspects such as costumes, lighting and scenery are discussed, but the book concentrates on the organization and management aspects: how to run auditions and rehearsals or plan a publicity campaign, and how to get the best results. The book contains useful diagrams and charts, which can be photocopied, and is aimed at directors, actors and backstage teams, both amateur and professional. Music, dance, children, comedy and slapstick and audience participation are all explored. This comprehensive account of the Scottish music hall from the 19th century to the present day includes the shows, the performers and the business, in a survey of recent and modern Scottish showbusiness. Suggested places to start looking for these books ! www.amazon.co.uk - The UK version of the Amazon chain - only really for books in print but does have a dealer network and auctions. www.amazon.com - The US version of the Amazon chain - again only really for books in print but does have a dealer network and auctions. www.bookfinder.com - Links with Secondhand and Antiquarian bookshops and a searchable catalogue. www.biblion.com - Links with Secondhand and Antiquarian bookshops and a searchable catalogue. www.bibliofind.com - Links with Secondhand and Antiquarian bookshops and a searchable catalogue. www.abebooks.com - Links with Secondhand and Antiquarian bookshops and a searchable catalogue. www.arts-books.com - No searchable catalogue but they may be able to find something. www.eBay.co.uk - The online auction house - look out for daily updates to see if any books appear. A tip is to search on panto, pantomime and theatre - the people who sell the books don't always know what they are selling. www.eBay.com - The online auction house - look out for daily updates to see if any books appear. A tip is to search on panto, pantomime and theatre - the people who sell the books don't always know what they are selling. These links are purely suggestions and their inclusion on the list does not guarantee that they supply the books above.